Last Sunday we took a ‘sold out’ trip up to watch Rip It Up in London. The show had 4 celebrity Strictly Come Dancing alumni heading the cast of a show which celebrated everything ‘1960s’! The music, dancing, singing and ‘gymnastic’ work were excellent! 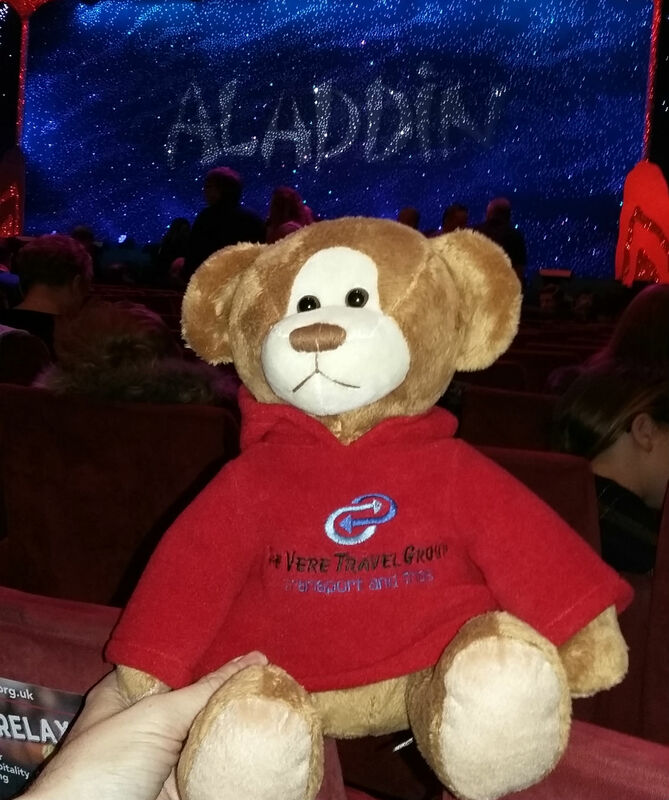 Denzil had a fabulous time, as he got to see Covent Garden before the show and both his dates for the day had the pleasure of watching Harry Judd, Jay McGuinness, Aston Merrygold and Louis Smith MBE, ‘get their groove on’!! The shows band and singers were very talented and brought to life some true classics. 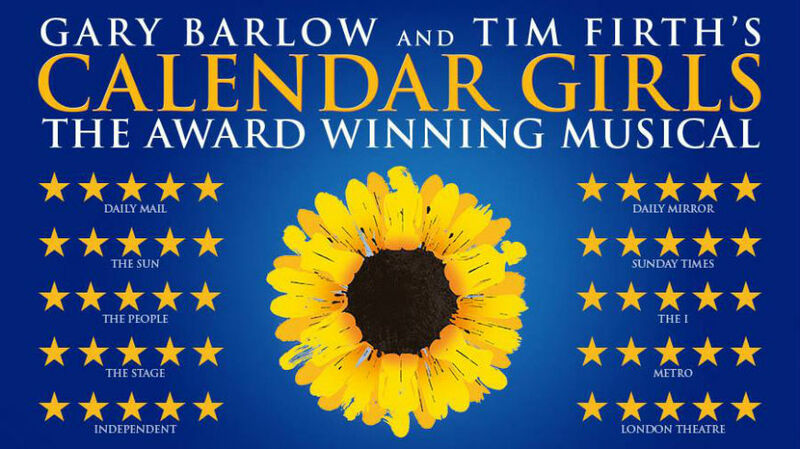 The show also included some film clips from those that experienced the 1960s first hand – Lulu, Dionne Warwick, Roger Daltrey and Tony Blackburn! Last Thursday Denzil went on his third trip of the month to see Soul Legends at The Cliffs Pavilion, Southend! He had a great night ‘getting down on it’ to some Soul classics, with the added bonus of seeing a special guest appearance by Lemar – who was fantastic! Roll on the next outing!! What a Week for Denzil! 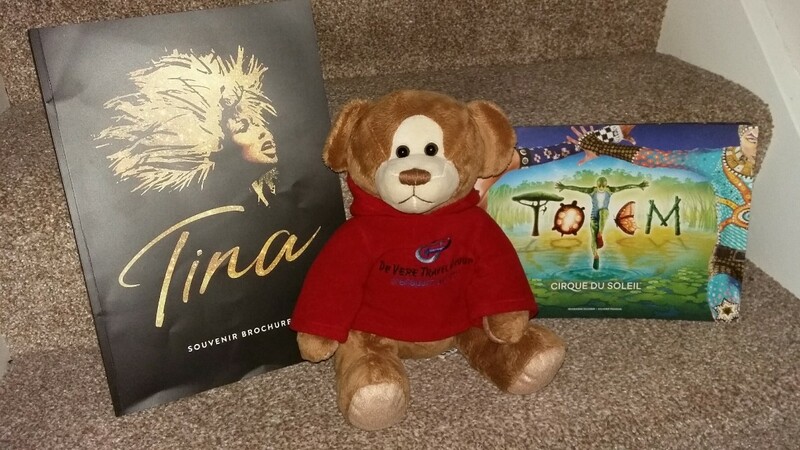 What a busy week Denzil the De Vere Bear had before half term…..not only did he go along to our third sold out trip to Tina – The Tina Turner Musical, but later that week he also went to his first ever Cirque Du Soleil Show at the Royal Albert Hall. It has to be said that although vastly different, both trips were utterly stupendous! What a tour de force ‘Tina’ is – a must-see this year and the Cirque Du Soleil troupe were utterly breath-taking – ‘Totem’ was a triumph! Denzil Loved His First Panto…….Oh Yes He Did!!!! Denzil joined our trip to the pantomime and thoroughly enjoyed Aladdin, especially the appearance of Diversity. What a great show – reimagined to incorporate some fantastic dancing. Here are a few before pics of Denzil enjoying himself! 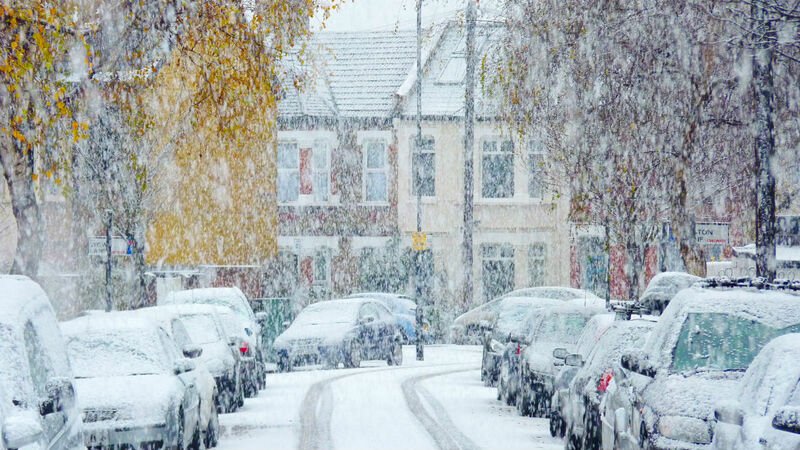 De Vere Travel started from humble beginnings as just one man, one passenger assistant and one vehicle carrying out a single school contract and some private hire work. It then added to its repertoire a 16-seater minibus which allowed the company to offer a selection of theatre trips and days out, as well as taking groups of children on outings. Today, De Vere Transport Limited boasts a fleet of over 20 vehicles, employing over 30 people. It services over 30 schools and adult care centres, carrying around 300 children and vulnerable adults to and from their schools/centres on a daily basis; totalling around 700 vehicle movements a day. It offers an extensive private hire service; taking local people to airports for their holidays, to wedding venues on their big days and to restaurants on special occasions. It prides itself on being reliable, professional and a good local employer. 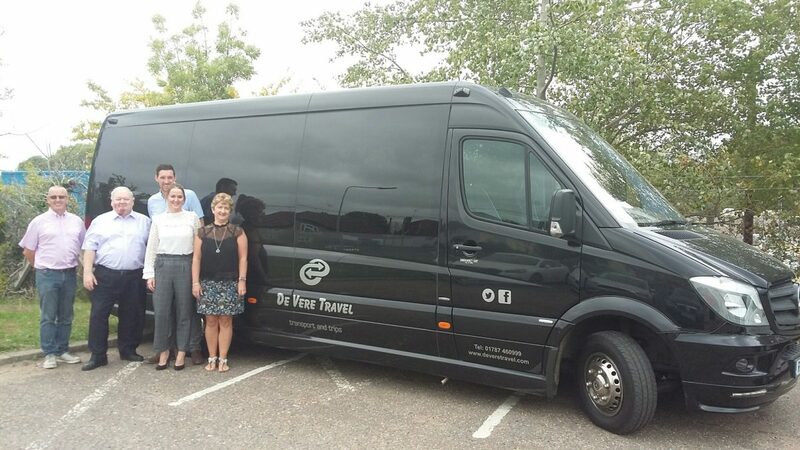 De Vere involves itself in sponsoring local events and providing quality transport services for local schools and establishments. It also offers trips to theatre shows and to other events and on average organises 40 trips a year. As a family-run rural-based business, being part of a community is important to the company. Founder and General Manager, Brian Davison spoke about how the company has evolved, “being based in rural North Essex we have seen a lot of development over the years, leading to more and more people using our services – both for transportation to schools as well as recreationally. The company is looking to the future and is hoping to expand its fleet and increase staff numbers over the coming year. Denzil loved his Summer Holiday! 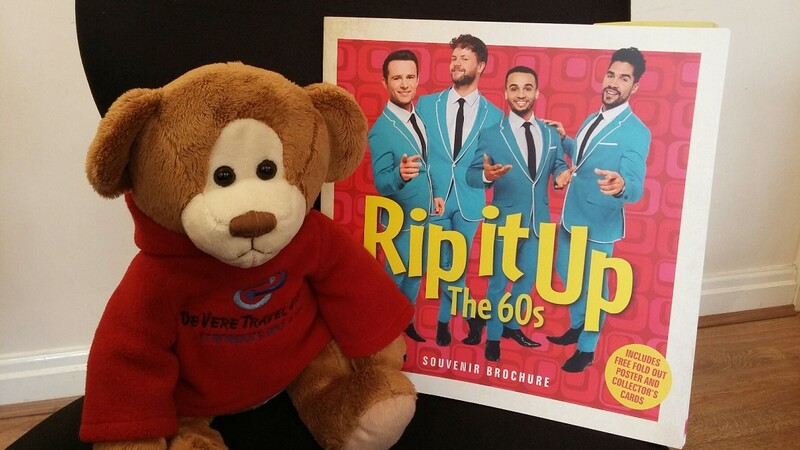 Denzil the De Vere Bear had a fantastic August Bank Holiday weekend; he attended the new touring show ‘Summer Holiday’ at the Cliffs Pavilion in Southend-on-Sea. He loved the show and so did his date for the night…..she managed to get her photo with the lead of the show – Mr Ray Quinn – what a truly lovely guy and what an entertaining show!! 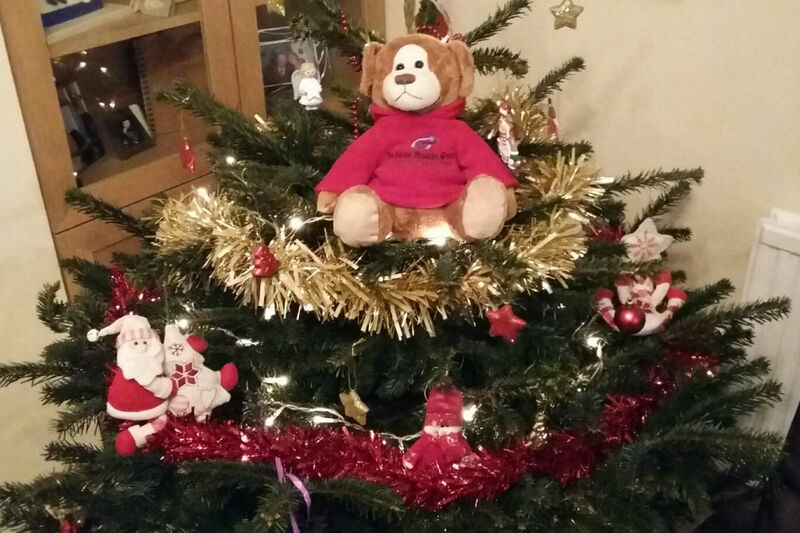 Denzil the De Vere Bear had a fantastic night out last week to see Strictly Ballroom. The show was hilarious, sparkly and full of the most amazing dancing! 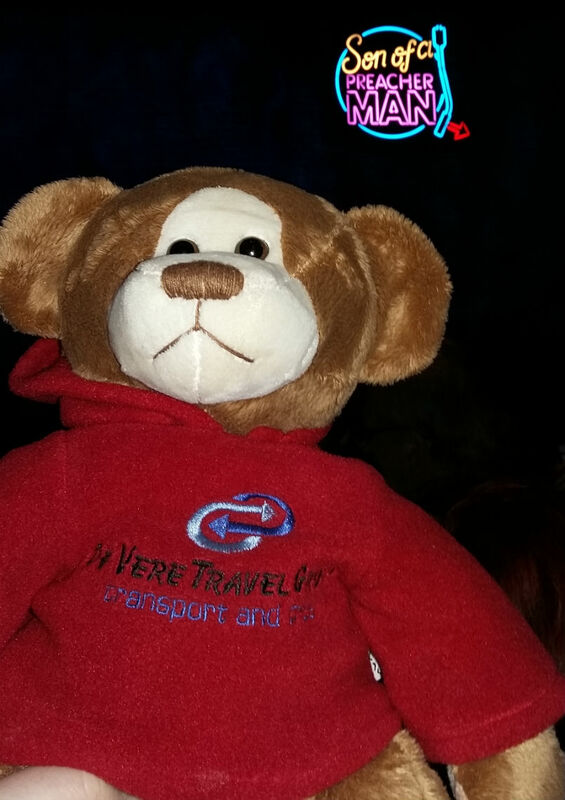 Denzil’s date for the night had the best time and is planning to see the show again – it was that good!